We talk to drivers all the time, and a small percentage said they regularly replace their antifreeze, and many can’t remember if they have ever changed their vehicle’s coolant. Don’t be that driver! Your car’s coolant/antifreeze breaks down over time, so be sure to change it (not just add it) before temperatures start to drop. Keep in mind that higher-level coolants don’t necessarily provide higher levels of protection. In fact, higher-level coolants can actually cause engines to run slightly hotter, leading to oil breakdown and increased wear and tear. Refer to your owner’s manual for the proper coolant level for your vehicle. Many drivers rely on tire inflation specifications found on the tires themselves. But, in fact, the pressure indications stamped on the tires refer to the maximum pressure of the tire cold, not the proper driving pressure to ensure optimum handling, safety, and fuel economy. To get the most accurate tire pressure data, look on the inside of the driver’s car door or door-frame, as well as your owner’s manual. Another thing to keep in mind is that tires need to be replaced every six years, even if there’s still plenty of tread. Over time, rubber steadily hardens, making tires less pliant and more slippery on roads. Just like you do with your smoke alarm batteries, we recommend proactively replacing your fog, brake, and tail lights on a scheduled seasonal maintenance plan before they burn out. 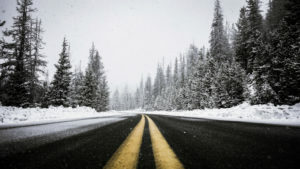 It’s a relatively inexpensive job, and it can help you avoid a dangerous situation, particularly in poor-visibility conditions when we have heavy rain, snow, or deicing material on the roads. We don’t recommend water for your windshield fluid reservoir at any time. It’s best to invest a couple of bucks and buy a detergent-based formula, which has a much lower freezing point, during the winter. The only thing worse than water getting frozen in the washer dispenser is having it freeze on your windshield. In this day and age of confusing SAE grades, synthetics and highly-engineered engines, the old rule of thumb about using a lighter weight oil in winter doesn’t necessarily apply. Refer to your owner’s manual for the weight/grade of oil you should be using seasonally. And always get your oil changed by your Boulder car care professionals like us! Generally speaking, shops like Allegiance Automotive are motivated to keep your car running well and know the proper oil for your vehicle. Beware: oil-change retail chains, on the other hand, are motivated to lower costs by using bulk quantities of the same type of oil, whether or not it’s right for your vehicle. In our intense, Colorado sunshine, wiper blades deteriorate rapidly. Start the winter season off right with a new pair of good quality windshield wipers. You won’t regret it! New to Colorado? If so, do not underestimate the value of packing a basic winter emergency kit in your trunk including blankets, flares, a window scraper, extra antifreeze, tire chains, jumper cables, extra water and shelf-stable snacks (peanuts, power bars, dried fruit, etc)! Pay attention to the weather app on your phone, local weather reports and electronic signs on the Colorado highways to determine the best time to don your chains. You don’t want to get stuck without them during that first big snowfall. But, then again, you don’t want to put them on prematurely either, given that chains dramatically reduce safety, handling and performance in most conditions. Winterize Car Tip #9: Make Sure Your Kids Winterize Their Cars, Too! A lot of parents, understandably, want their kids to take responsibility for their own vehicles, but the bottom line is that high school and college-age kids are less experienced in winter driving conditions – especially in Colorado. So if your young-adult kids live or go to school in our cold or wet climate, it’s ultimately up to you to make sure they get their vehicles serviced for winter driving – even if that means making the service appointment yourself. For many parents, the most convenient time to get their kids’ cars into the shop is during college winter break. Whether you make the appointment at a local service center or one in their college town (for example, if they’re flying home for break), make sure to schedule the service well in advance. The period between Christmas and New Year’s Day is generally the busiest time of year at service centers. Don’t forget to invest in a good pair of winter floor mats to protect your car’s carpets from the water, snow, or mud on your shoes. If you don’t have them for your car, check out what’s for sale at your full-service car wash or favorite discount shopping center. Given how little mats cost – and how big a difference they can make in terms of your vehicle’s appearance and resale value – it’s well worth the investment. Bring your car by the good folks at Allegiance Automotive – call and schedule an inspection and we will make sure your car is winter road ready!